Is Blockchain Gambling A Look Into The Future? HomeNewsIs Blockchain Gambling A Look Into The Future? Online gambling has forever changed since the integration of cryptocurrencies. Ethereum and other similar cryptocurrencies are now commonly used to fund and withdraw online casinos, poker rooms, sportsbooks, and more. The gambling industry is one of the most regulated entertainment industries on the planet, but many people still have a hard time trusting casinos, online casinos, and just about anything that has to do with my money. A study conducted by the British Gambling Commission (BGC) found that 2 out of 3 people think gambling is not fair and can’t be trusted. 41% of the same group of people indicated that gambling is often associated with criminal activity. Based off of the BGC findings it is reasonable to think that the online casino industry gets a bad reputation for the few online scams that do take place. Ethereum was launched in July 2015 and since has exploded into the mainstream of cryptocurrencies and blockchain-based smart contracts. Ether is the cryptocurrency used with the Ethereum platform. The blockchain serves as a public ledger where users can access information and see Ether transactions processed. Because of the accessible information, the blockchain creates a trust factor that you don’t find with most other altcoin platforms. Several companies and start-ups are taking it upon themselves to create online wagering games for the Ethereum blockchain. Zeroedge offers a 0% house edge to online players, but the games will only accept Zerocoin, their exclusive crypto. Qlear Protocol (QP) is another blockchain gaming developer that aims to restore trust to online gamers. QP views themselves as an online eSport tournament solution but wants to integrate trust functions into online casino games too. Funfair takes a different approach and is looking to sell licenses to casinos that want to put their services on the blockchain network. Funfair also has an altcoin, but the platform does not rely on the strength of their cryptocurrency. Though blockchain gambling is still in its early stages, there are several ways that you can bet using Ether online. Several online wagering services now accept Ether as a payment and withdrawal option. Ethereum online casinos are accessible to anyone who lives in an area where online gambling is allowed by local statues. The future of online gambling is pretty clear in the fact that most operators experience a trust issue. 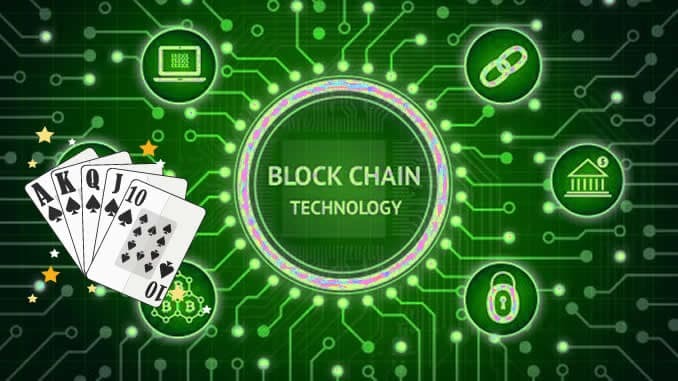 Blockchain gambling will be available before you know it, but we will have to wait and see if it will do any real damage to the online gaming industry that already controls the market.